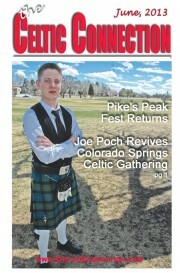 Pike’s Peak Celtic Festival Returns! After a 14 year absence (not counting a one-off attempt at a festival in 2004), a Celtic festival is returning to Colorado Springs on June 28-30 in Memorial Park, filling empty spaces on the calendar and map. Joseph “Joe” Poch is lucky to have been born twenty-four years ago into a family that included Scottish grandparents, Bill and Mary Ann Steed. They had owned and operated the Scottish and Irish Regalia shop and had also been actively involved in running the Pike’s Peak Celtic Festival for many years in Colorado Springs. Their influence led to Joe learning to play the pipes from the legendary Gordon Spears, take up drumming with the Pikes Peak Highlanders and step dancing a la Riverdance with the St. Brendan’s dance company. Eventually, all of that experience has led him to producing the Military Tattoo at the Longs Peak Scottish-Irish Highland Festival in Estes Park and forming his own event management company, Innovative Moments. The bad luck of the City of Colorado Springs led to more good luck for Joe when the USA Pro Cycling Challenge decided to not include the City in its 2013 tour path. Having already budgeted $100,000 for that event, the City Council chose to solicit proposals for four other events that would bring people to the City, each of which would receive $25,000 in support. Recognizing the voids in the map and calendar, Joe proposed resurrection of the Celtic Festival his grandparents had run and received one of the awards. Joe is Chairman of the Pikes Peak Celtic Festival committee and manages and coordinates the event in association with the City of Colorado Springs and The Colorado Springs Society of Friendly Sons and Daughters of St. Patrick. His experience with the Military Tattoo in Estes Park and relationships formed there enabled him to create a festival almost overnight that will match longer-term festivals with its offering of a WUSPBA-sanctioned piping competition, heavy athletics sanctioned by Rocky Mountain Scottish Athletics, Highland Dance, Irish step dancing, music from The Indulgers, Angus Mohr and a new band called The McDeviants as well as food, vendors, Dogs of the British Isles, living history, genealogy, clan tents and more. The festival will feature an opening ceremony with massed pipe bands and beer and whisky tastings too. Tickets, which will run from $5 for a single day child’s ticket up to $20 for an adult weekend pass, can be purchased in advance and more information found on the festival website, www.pikespeakcelticfestival.com . 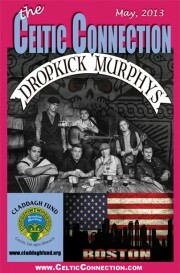 DROPKICK MURPHYS Sunshine Theater gig in Albuquerque has been rescheduled for June 28. Boston-based rock band The Dropkick Murphys are touring in support of their latest studio album SIGNED and SEALED in BLOOD and will perform at The Fillmore Auditorium in Denver on, May 29 and e at the Sunshine Theater in Albuquerque has been rescheduled for June 28. SIGNED and SEALED in BLOOD is taking the band, over a decade into their career, to places they’ve never been before. Their holiday song “The Season’s Upon Us” saw the band breaking through Modern Rock radio, charting higher than they’ve ever been before. The band were featured in a recent issue of Billboard Magazine, and on New Year’s Day the band was featured on NPR’s widely listened to “All Things Considered”. Also, Ken Casey of the band was invited by Bruce Springsteen to sing a song in his MusiCares tribute concert during GRAMMY week. Dropkick Murphys just finished their 2013 “St. Patrick’s Day Tour,” which concluded with three dates in their hometown of Boston, MA including the fulfillment of the band’s career-long dream of headlining the Boston Garden, now known as TD Garden on March 15. The Garden show was billed as “Dropkick Murphys Irish Festival,” with bands and attractions on two stages. The entire tour had an epic finale on St. Patrick’s Day (March 17) at The House of Blues in Boston. The band is selling a “For Boston” T-shirt at www.CladdahFund.org. 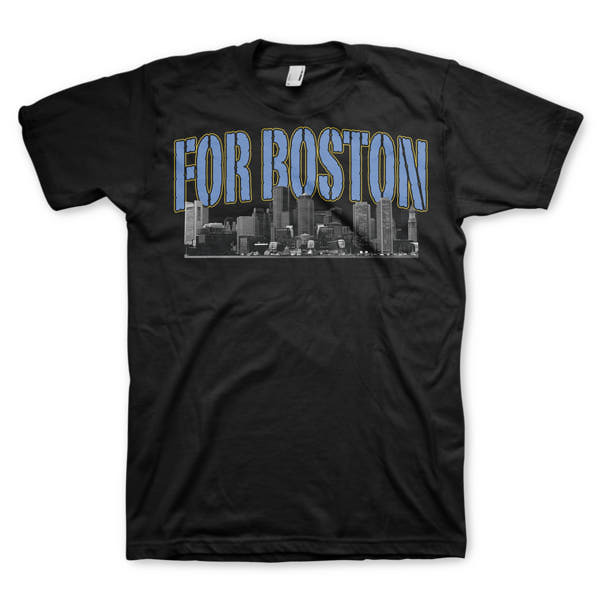 100% OF ALL PROCEEDS from this shirt will go directly to the victims and families of the Boston Bombings. Dropkick Murphys are: Al Barr (lead vocals), Tim Brennan (guitars, accordion, whistle, vocals), Ken Casey (lead vocals, bass guitar), Jeff DaRosa (banjo, bouzouki, mandolin, harmonica, vocals), Matt Kelly (drums, vocals), James Lynch (guitar, vocals) and Scruffy Wallace (bagpipes, tin whistles). David Fallon and Jonathan Lucey are two of the people behind Tourism Ireland’s Ireland Family History Facebook project. During Ireland’s Family History Year they are aiming to provide a useful link for those people who’s ancestral search leads to the island of Ireland. We spoke to David and Jonathan about the Facebook project and the idea behind Ireland’s Family History Year. Jonathan Lucey: I think if a lot of us are honest, we don’t realise how your country or your home has affected us until we leave. And I understand that has almost be come a cliché, but it’s really true. In the case of Ireland, I think that kind of way of lodging itself in your consciousness and your personality is quite unique. I think it’s why people are so deeply passionate about their Irish heritage, no matter how far back it goes. David Fallon: I’d have to agree. I think that’s why the core theme of the Gathering Ireland 2013 (http://www.thegatheringireland.com/), for the diaspora to come home and to reconnect, is such a good one. Of course it’s not only a year of genealogy festivals. The Red Head Convention on Cork, A Left Hand Festival in Mullingar etc (they don’t want anything to ‘go right’ on the day…) I can’t remember seeing an initiative like it before. At the core of the year, though, you have these family and clan ‘Gatherings’ where families in Ireland want their family abroad to know just how eager they are to meet. Sometimes, the way it’s talked about, it’s easy to get the impression that only the American or the Canadian cousins who are keen, but the reality is that we’re just as intrigued and fascinated by the idea of our distant family here in Ireland, too. And that’s really where Ireland’s Family History Year came from. It’s a perfect tie in – a year when people are already being invited to the island to reconnect with family is just the time to help them on their way. I strongly believe that the lectures, Gatherings our (you’ll forgive a little plug here) extremely friendly and helpful Facebook page, and events planned for 2013 will guide people toward that missing link and their family in Ireland. Jonathan Lucey: What David and I have found since starting the project is that the amount of people actively searching for their Ireland ancestors is staggering. A quick search on Google will tell you that approximately 70 million people on earth currently consider themselves descended from relations from Ireland. Look, that’s an almost unbelievable number, but just dip a toe into the world of Irish ancestry and it becomes a lot more plausible. The interaction we’ve had on the Ireland Family History page has been astounding and surprising in equal measure. In some ways, too, it’s been moving. David Fallon: Absolutely. Actually, when I was chatting to people on the page yesterday a message came in. It was from a lady in the U.S who mentioned that her father was a famous cross-country runner from Tipperary. She didn’t have clear dates from him but knew that he was active during some time in the first half of the 20th century. Seconds later, with that bare knowledge in my head, I found a website with a picture of him and his athletics club. There he was, tall, hair quiffed standing smiling with all the other young men. Right away I was imagining this man leaving his parish, his athletics club and his family and stepping on a boat to the US. Now, I had no connection to the family or the man, and that was a special moment for me. Can you imagine what it was like for his daughter? She wrote back to say she was in tears. That’s something I can’t verify, but I do hope it made her happy! Jonathan Lucey: And that’s the joy of the Internet for ancestry searches. But the bottom line is that the Internet is a big place, and it’s a place where people are very understandably trying to make money. If you reconsider that sizeable 70 million figure I referenced earlier, then you can see it being a lucrative business. Of course, there’s nothing wrong with paid research sites. They’re doing valuable work and places like Ancestry.com and Find My Past do incredible things and the professionals there really know what they’re doing. But don’t think that those two are the only resources. We give our top five online resources below actually, but I still maintain and being on the ground, being able to actively walk into a parish church, visit the National Archives etc or even to pick up a local phone book – that’s where the real secrets are found. Since Jonathan and David have been working with Ireland Family History they have found the following sites to be especially helpful, especially to the novice. An incredibly well researched resource and VERY user friendly. Their surname search is an excellent way of narrowing down the locations where surnames were popular. Also, the blog (www.irishtimes.com/blogs/irishroots), written by the very witty and extremely knowledgeable John Greenam is a must read. As well as hosting one of the most beautiful rooms on the island of Ireland, the National Library hosts some of the greatest genealogy specialists, too. Their ancestry page is utterly illuminating and sets out how to go about your search in wonderfully plain English. Don’t leave home without their ‘How To’ PDF. As a child growing up in England, I visited Ireland almost every year. My parents were born there; Dad from Bandon in West Cork and Mom from Duagh on the north Kerry border with Limerick. They were big on maintaining their links with the family and friends they had “left behind.” More importantly for them, they wanted to show us where we came from, to have us experience a slice of their background, because it was just as surely our own background. It was a wonderful experience every time we went and, because of the efforts of my parents, I am still in touch with virtually all my first cousins and whatever uncles and aunts we have that are still living. Ironically, even though we are 5,000 miles further away from Ireland than I was as a child, the journey time is pretty much the same. In fact, in many ways it’s an easier trip. Substitute a 12 hour ferry crossing across the often tempestuous Irish Sea, as well as at least 7 hours of driving on narrow country roads, with a transatlantic flight on a luxury airliner, and you begin to see why. This year Ireland hosts The Gathering, a program of events and initiatives designed for the purpose of extending the famously warm Irish welcome to all the people in the extended Irish family, the diaspora if you will. The idea is much the same as my parents had all those years ago: to allow Irish people the world over to visit with relatives, however distant, make and renew friendships, and experience the land, culture and history which is such a vital part of all of us. In this respect, Irish America has a very significant role to play. Over half of the 70 million strong Irish diaspora lives right here in the US. As an aunt told me shortly before I came stateside, there is barely a family in Ireland that hasn’t got someone belonging to them in America. Ireland holds a special charm for most of us, whether we go there often or are planning the very first trip. It is a unique place to spend your vacation, especially if you have some Irish blood coursing through your veins! The scenery is unrivalled; from the beautiful lush-green hillsides of West Cork in the south (Ireland’s ‘Riviera’), to the rugged coastline of the west through the rolling plains of the midlands all the way to the bustling port towns and cities of the East Coast. Everywhere history abounds, you can see it in the landscapes and the buildings, you can almost reach out and touch it. Culture, too, is an important part of the experience. 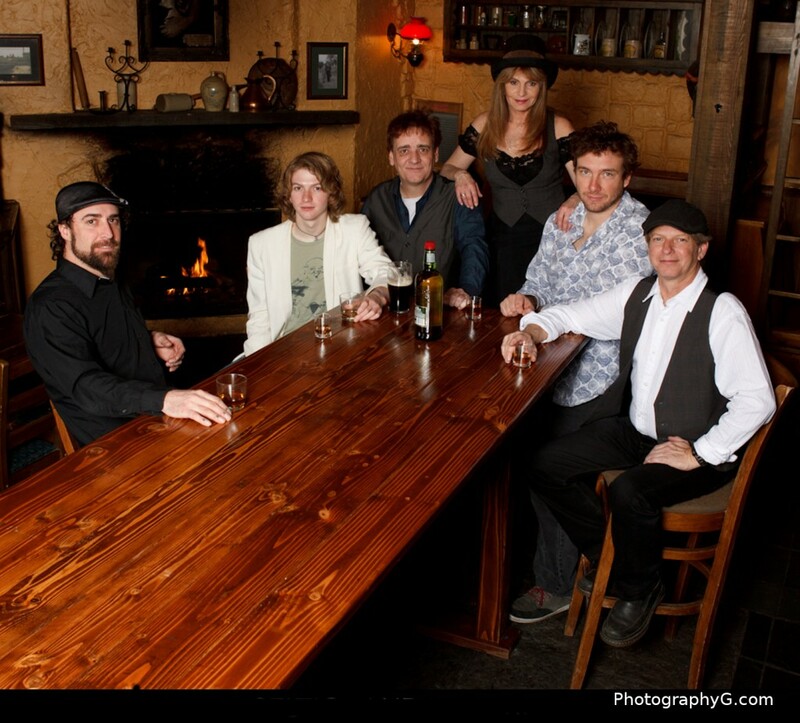 Traditional Irish music, food, language, the way of life are all things that you can only really appreciate first-hand. Perhaps most important of all is the famous Irish hospitality. Take the time out to speak with the locals where you are staying. They will be more than happy to sup a pint or a cup of tea with you and, more often than not, will share the secret of some hidden gem in their own area; maybe a beach, a restaurant, a site of special interest or a music seisiún. Nowadays, the Irish tourism industry is second to none. The country boasts some of the world’s best hotels, shopping districts, restaurants, golf courses and whatever else is on your personal “bucket list.” This year, The Gathering has taken an Irish vacation to a completely new level, with over 2,000 festivals, clan gatherings, concerts, sporting occasions and other events taking place throughout the country the whole year long. Ireland is also excellent value for money. Survey after survey reveals that hotels around the country are among the least expensive in Europe. To make the most of your stay, pay a visit to www.ireland.com. This is the official web site of Tourism Ireland and it has comprehensive listings for places to go, things to see and do, events, accommodation, and special travel offers. The Gathering is a very exciting initiative with many, many moving parts. People across Ireland, in every city, town and village are rolling out the ‘green carpet’ to welcome home their visitors from America and other parts of the world. And they will do a great job of it because, after all, isn’t that what they have been doing for decades? When we used to make that annual pilgrimage from England as children, my parents never referred to it as a vacation or as a holiday. Instead they used to tell us we were ‘going home.’ And that is exactly as it felt then and still feels now. 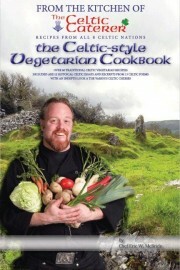 Chef Eric W. McBride has just released his third Celtic Cook book, The Celtic-style Vegetarian Cook book, a combination of Ovo-Lacto recipes from all Eight Celtic nations. This cook book combines Celtic history & history of Celtic cuisine with traditional Celtic recipes enhanced with modern cooking techniques. Written not just for Vegetarian’s, but for anyone who wishes to spice up their vegetables, Celtic-style. Chef Eric will be on hand to sign copies of his newest cook book as well as his other two books; Book I Scottish recipes, Book II Irish Recipes. He will be at Nallen’s Irish pub in Lodo, Denver, on Wednesday May 8th from 4 pm to 7pm, at Darcy’s Irish Pub in the Denver Tech center on Saturday May 11th from 11am to 2 pm, at the Rio Grande Celtic Festival in Albuquerque, NM on May 18th & 19th, Two Fools Pub in Albuquerque, NM on Tuesday May 21st between 4pm & 7pm, and at the “2013 SCOTSFEST” on Memorial Day weekend May 25th & 26th at the Orange County Fair Grounds in the Los Angeles, California area. 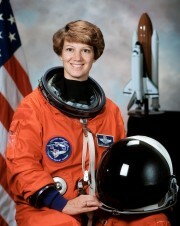 will be Eileen Marie Collins, a retired American astronaut and U.S. Air Force Colonel. A former military instructor and test pilot she was assigned (1986 to 198), to the U.S. Air Force Academy in Colorado Springs , Colorado, as an assistant professor in mathematics and a T-41 instructor pilot. Collins achieved several firsts in the history of space travel. In 1995 she took the helm of the Discovery, becoming the first woman to pilot a space shuttle. Collins was the first woman to command a space shuttle in 1999; and in July 2005 she commanded the much-anticipated launch of the first space shuttle since the disastrous Columbia voyage in 2003, during which all seven astronauts were killed on board. Collins’s 2005 mission was considered key to the future of manned space flight, since the focus was to test out new safety measures and repair techniques. Eileen Marie Collins was born on November 19, 1956 in Elmira, New York. Her parents encouraged her dream of becoming a pilot and she earned her license while in college. She graduated from Elmira Free Academy in 1974, and received an Associate of Science degree in Mathematics from Corning Community College in 1976. She then attended Syracuse University, earning a Bachelor of Arts degree in Mathematics and Economics in 1978. She also received a Master of Science degree in Operations Research from Stanford University in 1986 and a Master of Arts degree in Space Systems Management from Webster University in 1989. In 1979, Collins graduated from Air Force Undergraduate Pilot Training at Vance Air Force Base (AFB), Oklahoma. She then served as a T-38 instructor pilot at Vance until 1982. From 1983 to 1985, she was a C-141 aircraft commander and instructor pilot at Travis AFB, California, and took part in the invasion of Grenada in October 1983. In 1986, Collins attended the Air Force Institute of Technology at Wright-Patterson AFB in Dayton, Ohio. She graduated from the Air Force Test Pilot School at Edwards AFB, California in 1990. Collins has logged over 5,000 hours in 30 different types of aircraft. Colonel Eileen Collins has received many awards, including the Defense Superior Service Medal, Distinguished Flying Cross, Defense Meritorious Service Medal, Air Force Meritorious Service Medal with one oak leaf cluster, Air Force Commendation Medal with one oak leaf cluster, Armed Forces Expeditionary Medal for service in Grenada (Operation Urgent Fury), French Legion of Honor, NASA Outstanding Leadership Medal, NASA Space Flight Medals, Free Spirit Award, and the National Space Trophy. Collins retired on May 1, 2006 to pursue private interests, including service as a board member of USAA. She is married with two children. Arts & Humanities : James Cagney, Harry “Bing” Crosby, and F. Scott Fitzgerald. Business & Industry: Daniel Rooney, U.S. Ambassador and Chairman, Pittsburgh Steelers. Colorado Dance Teams are World Champions! Two dance groups from Celtic Steps School of Irish Dance brought home the trophy from the World Irish Dancing Championships. “We are so proud of our students for their hard work and dedication. Our under 13 team and under 16 team won the title in their respective categories,” says Shaun Casey, owner of Celtic Steps School of Irish Dance. Both teams consist of 16 dancers. Sixty-two competitors from Celtic Steps School of Irish Dance performed at the World Championship event. “ We had 13 teams and 25 soloists competing against more than 5,000 dancers from across the globe. It’s truly quite an honor for two of our teams to bring home the win,” explains Casey. Celtic Steps School of Irish Dance specializes in Traditional Irish Solo and Ceili Dancing. Irish step dancing combines the entrancing rhythms of traditional Celtic music with the grace and energy of dance. Students work to achieve the fundamentals of timing, body positioning, and footwork as they learn the basic steps, then progress to learn beginner reel, light jig, and slip jig steps. “Capturing the World Championship title means so much to our dancers. Not only is it a testament to their amazing dance skills, but it shows a strength in their teams skills, confidence, and dedication to their art,” adds Casey.